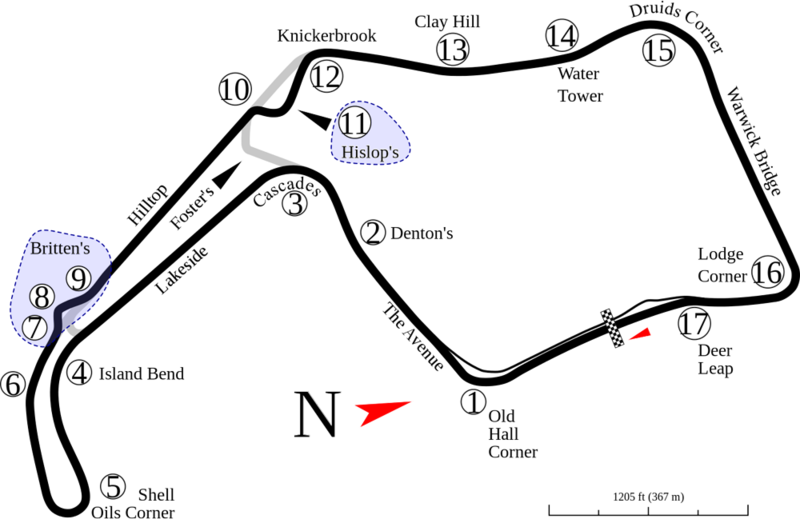 Oulton Park Circuit is located in Cheshire, about 5 miles from Winsford, 13 miles from Chester, 8 miles from Northwich and 17 mile from Warrington. Unlike Blyton Park and Snetterton, the track is not a former world war two airfield, but is set in the grounds of Oulton Hall, which were used as an army staging camp by General Patton prior to the Normandy landings in 1944. The track at Oulton Park is built into the natural contours of the Cheshire countryside and is well known for its rapidly changing gradients, blind crests and several tight corners. It is one of the most picturesque and best-loved circuits in the country and over 60 years it has gained a reputation as a tough test for drivers. Crowds of up to 35,000 regularly visit the circuit for the annual round of the British Touring Car Championship. As well as the BTCC, the Cheshire track hosts two rounds of the British Superbike Championship and the ever popular British GT/F4 event on Easter weekend. The full International Circuit is 2.7 miles long, with good Paddock facilities, and can be adapted for shorter courses. 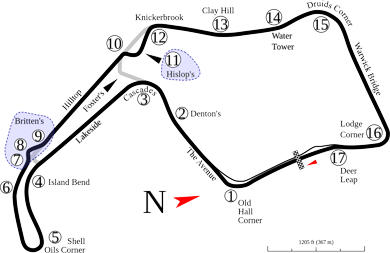 The Island Circuit is 2.3 miles long, whilst the "Foster's" Circuit, which is 1.7 miles long comprises half of Cascades corner followed by Hizzy’s chicane before heading onto Knickerbrook and up Clay Hill to work its way round to the start/finish straight.